We can trace the bento box to the Japanese Edo Period between 1603-1867. This is where the basic staple of rice and left over cheap cuts fed the working class of Japan. They carried their lunch in woven bags and cooked their rice in boiling water on site or ate the meal dry. Over the years, through the Meji Period (1868-1912), the Bento becomes industrialized in train stations making it's presence a necessity with it's ready made convenience to the faster paced work force; by upgrading to a lacquered wooden box. During the Taisho Period (1912-1926), we see a shift in the use of short absence in the WWI & WWII eras, we thankfully see a return of the Bento coincidently around the same time the Microwave gained ground in popularity; again for the convenience of a now even faster working class. 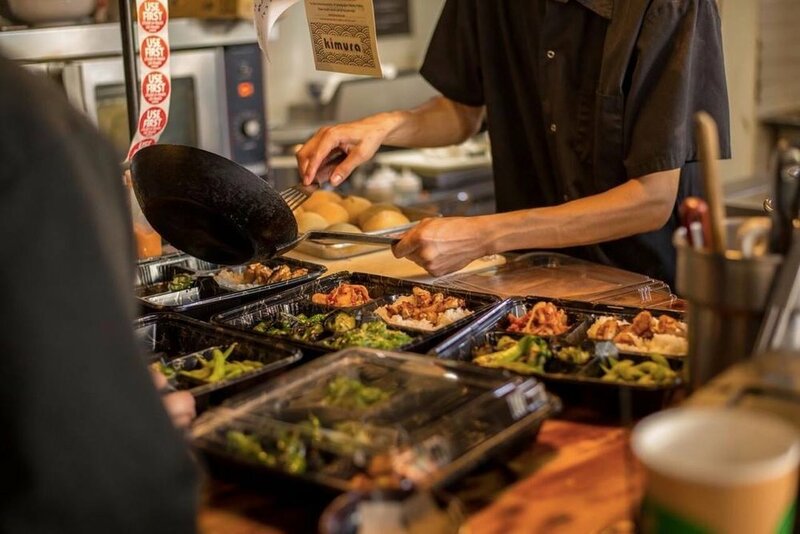 Here at Kimura, we want to provide that convenient yet nutritional meal to those who still lead busy afternoons with our revolutionized Bento Box, which can be delivered to your working doorstep (if you choose). Please also enjoy a Donburi or Yakisoba meal as they too help you to stay diligent on a project when necessary. Please fill out this form to schedule your next delivery!